Their first single titled, “Who We Are”, made waves in the Christian EDM world. People started to turn their attention to AC.jR & BradyJames. The next single they released was titled “We Were Children” (feat. Lindsey Shumaker) which shocked everyone. The song has reached over 133k streams on Spotify and continues to grow. Brady Novak (BradyJames) was born and raised in Long Island New York and has been making music for about 5 years. 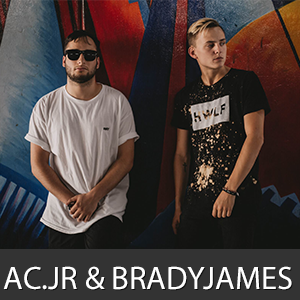 A producer and the duo’s main vocal artist, Brady has been working on his craft and is driven by making an impact on the culture. Brady and Anthony have been working together for over a year and continually push each other artistically and personally.